I arrived to find some regulars mid way through a game of Love Letter. Someone's new purchase, I think. Everyone should own a copy as far as I'm concerned. More people arrived and we split into groups. I honestly don't remember what was played this week. 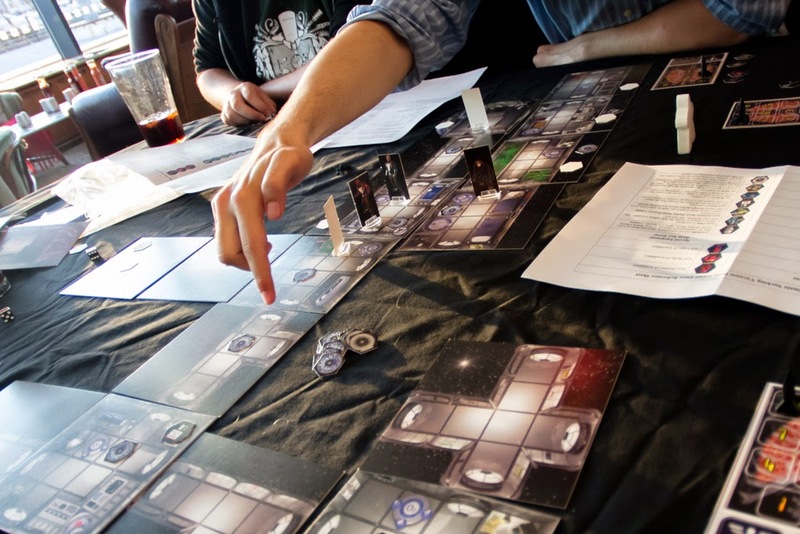 I think some people played Cosmic Encounter but I know for a fact I played Sucking Vacuum, a game where you have to grab your space suit, and be the first pair to make it to the escape pod. Unless you happen to have the auto-pilot which can substitute for a second player. I picked up the auto-pilot on my first turn. Keeping this information to myself, Theo soon loaded fuel data into the pod. After goading another playing into attacking him, I finished Theo off, stole half his space suit and ran for the escape pod. I get the feeling most games probably last a lot longer but I had luck and deviousness on my side. Some of the other guys were playing The Resistance, this time with the additional plot cards to spice things up a little. Dan managed to get a game of his favorite, Power Grid. 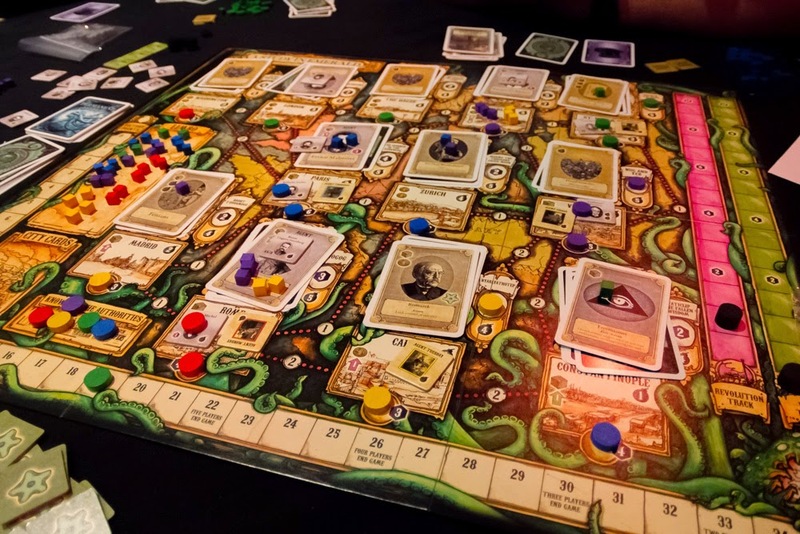 I played A Study in Emerald, a Martin Wallace game, based on the Neil Gaiman story of the same name. It's a kind of Sherlock Holmes and Cthulhu mash up. And also a kind of deck builder and area control mash up. But it's not the simplest of games and we made the mistake of no one learning the rules before hand. We fumbled our way through but ultimately the game was ended when Mike totally misunderstood the win conditions and assassinated me, securing himself a guaranteed fail. I think the lesson to be learnt here is to make sure at least one person knows how to play the game beforehand. I left just are the final few people were finishing a game of Werewolf. I'll be back next week nice and early though, for that King of Tokyo tournament I've been hearing so much about.